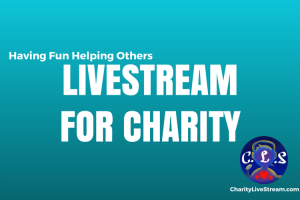 What is Charity Live Stream? It started simply enough. Several ideas jotted down on a piece of paper in February of 2015 outlining a new idea for a new business venture. An idea to centralize thousands of gamers that raise money for charity. Every year video game driven events raise millions of dollars across the world for various charities. These communities are passionate, diverse and eager to play, work and sacrifice for their charity of choice. 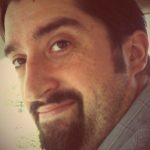 Mark Svetik’s idea is to bring these charity events, participants, charities and businesses together in one place, Charitylivestream.com. 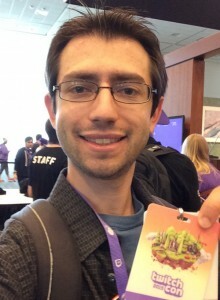 Mark “Clive” Svetik at TwitchCon 2015. 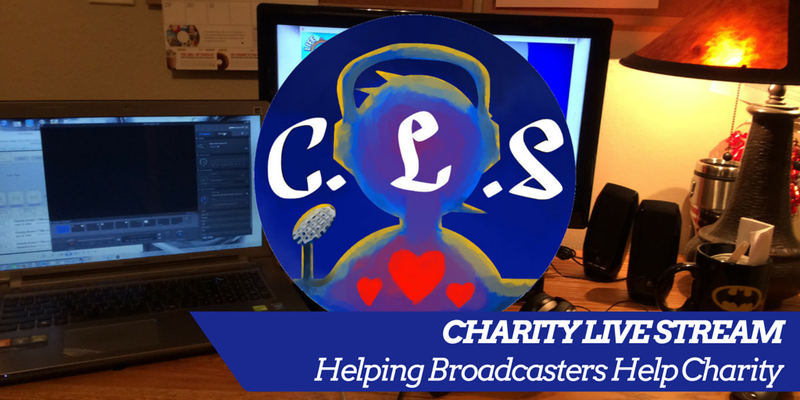 From paper to reality, Charity Live Stream (CLS) has had an exciting leap onto the scene with nearly 150 members, over 50 events submitted by 35 different groups and has helped raise over $25,000 for various charities. In just over a year Svetik has managed to set an impressive foundation for an ambitious endeavor. Though, before Svetik scrawled upon that piece of paper he was working with various startups in the San Francisco bay area. After parting ways with one particular startup, Svetik began contemplating his next move. It was successful charitable gamer and YouTuber Markplier that sparked this idea. “The day I parted ways with that start up, I had come home, I was kind of in funk, I was doing what every person does. ‘What am I going to do next?’ My fiancée comes to me with two videos that Markplier had put out recently,” Svetik recalls. These videos were Plier’s milestone 6 million subscriber celebration and a video titled the “Pursuit of Happiness”. That’s when it clicked. That’s when Charity Live Stream began to swirl into existence. Svetik thought ‘hey, you can’t do a Google search and find out when charity streams are happening. There is no SEO, there is no website.’ He nearly passed on the idea, surrendering to the fact, hope or dread that someone else will probably end up creating a community like CLS or something like it, but Svetik’s idea took root. He had experience working with and for startups, it was time he did it himself. Unsurprisingly that meant that the endeavor has been funded out of pocket. Using savings and earnings through a Patreon endeavor, Charity Live Stream began its journey. Eighty hour weeks, months of research and countless sleepless nights grew into the foundation for gamers to gather their efforts for charity. How does a platform like this become sustainable? 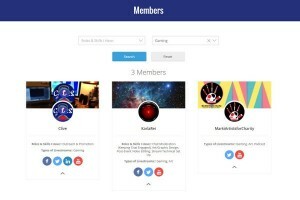 View of the Membership Directory on CharityLiveStream.com. To be clear, CLS does not take a portion of any donation nor does it ever intend on taking a portion. Also the basic usage of the site is free, which includes a standard account and the ability to post your event on the community calendar. The user can pay for a premium account that will eventually make available more resources, profile page layout templates, and easily usable content for charity streams. As of this writing, the only premium feature available is an auto-content generator that is to be used with a social media management tool (Buffer, Hootsuite) to schedule social media posts during the stream, so the streamer can focus on the event. The next premium feature will likely be a portfolio of over 3,000 images to be used in social media, on your CLS profile page and what have you. As of now, users interested in the premium platform can support CLS’s Patreon page starting at the $5 tier. What’s not to love about playing games for charity? The interest and support for charitable giving and gaming is clear. In 2015, Desert Bus for Hope (for Child’s Play Charity) raised nearly $700,000, Awesome Games Done Quick raised over $1.2 million, Extra Life raised over $8 million and the list grows every year. Gamers want to participate and people want to contribute to causes. Svetik wants to make it even easier to bring them all together. Example of digital resources available for streamers who use Charity Live Stream. It’s ambitious, daunting and maybe a little crazy to start a project like Charity Live Stream. The community of charitable gamers grows everyday. Organizing their intentions would enhance how we think about and help grow the new frontier of fundraising in virtual space. Svetik’s quest is far from over, and there is still much to be done. The unknown factors don’t seem to dissuade his resolve. In fact, it seems they push him forward, down the path to Charity Live Stream’s inevitable launch. You can follow Mark Svetik and find out more about Charity Live Stream on Twitter, Facebook, Tumblr and Linkedin.